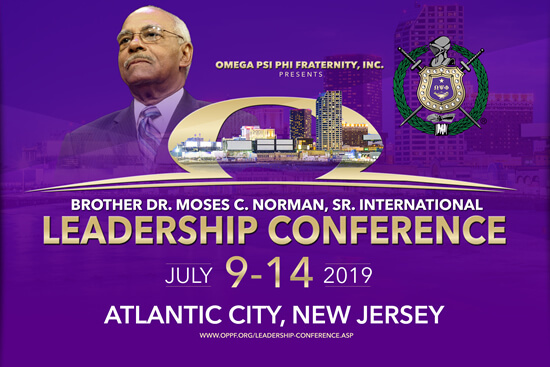 Join us in Atlantic City for Omega Psi Phi’s biennial Leadership Conference. This will be the first Conference since the event was renamed for Eta Omega’s own Bro. Dr. Moses C. Norman, Sr., the Fraternity’s 33rd Grand Basileus.